Just as the wheels of time continue to turn, the 49 new startups out of Y Combinator continue to churn. And without giving away too many hints, there might even be a Google Glass competitor in this batch. Amulyte is targeting the 20 million senior citizens in the United States, providing a pendant and online portal that tracks their movements to provide help in case they fall. The pendant connects to cellular networks and has GPS, Wi-Fi and an accelerometer to detect falls. If a senior falls, it will alert contacts immediately and keep track of any movement. The pendant sells for $149 and the service is $29 a month to provide a little peace of mind to seniors and their families. The company is working with a retirement home on a test of the service and to get it deployed in the market, but it sees a $10 billion market opportunity just in the U.S. alone. Check out our earlier coverage of Amulyte here. It’s the age old cliché: The woman with a closet full of clothes, but absolutely nothing to wear. Some estimates say that the average woman only uses about 20 percent of the pieces in her wardrobe on the regular. Le Tote aims to solve that problem, by providing women’s apparel and accessory rentals for $49 per month. The service, which Le Tote likes to call “the Netflix for women’s fashion,” has proven quite popular since it launched in October 2012: The company is making $70,000 in monthly revenue and is growing by 30 percent month-over-month. Its user base, which currently spans 48 states, has a retention rate of 93 percent. Check out more coverage on Le Tote right here. IXI-Play is building a smart, Android-based robot for young children. They can play games with it; they’ll show the robot cards and it will mimic emotions on them. It sees, hears, speaks and moves. The toy itself retails for $299 but it will also come with an app store and other accessories. It’s a hardware platform that can have customizable skins for different characters so it can either build its own IP or license out IP from other toy companies. Paper menus are static, costly to reprint with updates, and only work with a waiter. Butter Systems wants to “put a tablet on your table” with its mobile menu system for restaurants. Butter Systems menus are built for cheap Android tablets, can be updated on the fly from a web portal, support vivid brand customization, assist with translation into other languages, and let businesses highlight promotions and discounts. Most importantly, it lets customers order right from their tables. Sam Brin, Butter Systems’ co-founder (and younger brother of Google’s Sergey Brin), says his product boosts average check size by 13 percent. It doesn’t have to replace waiters, but can help cut down their workload with buttons like “Check please!” They’ll have to keep people from stealing the tablets, and compete with E La Carte, iMenu, MenuPad, and more. Tablet menus do seem inevitable, so it should be an interesting battle to watch. Check out more coverage of Butter Systems right here. Asseta wants to be the go-to marketplace for used capital equipment, a $100 billion industry that is ready to be disrupted. Seeking to become the “eBay for used capital equipment,” it wants to connect sellers that have equipment they’re not using with buyers who want to buy it at a discount to its new price. The big problem with previous marketplaces of this type is that companies weren’t properly incentivized to list their used equipment, but Asseta has collected more than 28,000 equipment listings. So far, it’s done $212,000 in sales, and sees a $5 billion market opportunity, based on the $100 billion in used capital sales and its own 5 percent commission. Check out earlier coverage of Asseta right here. Everyone hates email, which has led a lot of people to try to kill it. The latest is Hum, a product designed for collaboration. It organizes conversation into threads, lets you drop work requests into each others’ feeds, and syncs everything across your devices. 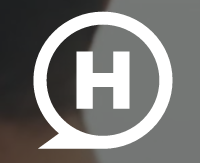 Hum is focused on real-time conversation and presence. It makes it easy to see who else is currently viewing a thread. You can “read later” any threads you can’t get to right now, or pin important conversations to the top of the app. The company made a lot of bold claims about how it will transition you away from email as you use it more, but didn’t provide many specifics. Hum will have a steep uphill battle against incumbents like Yammer and Asana, and email, which has been harder to disrupt than most people realize. True Link Financial is building a “safe” credit card for cognitively impaired senior citizens who might not have the ability to see through scams or recognize when people are trying to take advantage of them. They give out credit cards to the elderly and route all transactions in the Visa network through their own servers, where they double-check the transactions to see if they’re reasonable (like spending a few dollars at an ice cream parlor) or to see if they’re from known scams. The company says credit card companies make $1.9 billion a year from this demographic. Check out more coverage of True Link right here. Many local businesses aren’t ready for the digital age, and some are getting overwhelmed with pitches from startups they’ve never heard of or don’t understand. LocalOn wants to break through by working with newspapers that already do businesses with local merchants. Together LocalOn and the papers offers businesses white-labeled tools for building websites and other utilities web hosting, directories member billing, and widgets. LocalOn also sells to the newspapers themselves. While it’s a crowded market that’s tough to scale, someone has to get these businesses set up on the web, and then hopefully mobile. Check out further coverage of LocalOn right here. Weilos is a mobile-first service built to help users lose weight through accountability. It works by connecting users with coaches whom they report to through their mobile phones. The accountability is motivating its users to quickly drop pounds, with active users losing an average of 1.3 pounds per week, compared to 0.3 pounds per week with Weight Watchers. One of the reasons that Weilos works is that its coaches have been there — they’ve all lost weight themselves. Weilos is going after a HUGE market — the 200 million Americans in the U.S. who are overweight, and who spend $61 billion on things that don’t actually work. Check out even more coverage of Weilos right here. SoundFocus is starting out as an app, but eventually it will be far more than that. The company has developed software that detects the certain volume levels and frequencies for your particular ears. One of the founders, Alex Selig, grew up with hearing loss and after finding out that 600 million people in the world suffer from it, and that four out of every five people with hearing issues don’t have a hearing aid, he felt he had to act. The app first gives the user a simple test, and once it understands your particular hearing ability, tunes your music from your iTunes music library or Spotify so that you can actually hear better. In the last week, SoundFocus reached 100,000 songs. Eventually, the team will offer an adapter, and after that, wireless earbuds that will offer the same audio-tuned experience for all of your gadgets, not just the iPhone. Those headphones will only cost $70 but the total addressable market here is $9.5 billion. Check out more coverage of SoundFocus right here. Building a mobile or web app today typically requires a back-and-forth dance between a designer and a web developer before the product can actually go live. Webflow aims to replace the web developer role entirely, letting designers create content for any device and push it live themselves. According to Webflow, this “automates away the middle man” (a characterization that web developers may chafe at, to be sure) because “everything developers can do in code, designers can do in Webflow.” It’s attracted a lot of attention so far: In the two weeks since Webflow launched, 25,000 people have used the service, many of them using the app for more than three hours a day. Check out further coverage of Webflow right here. Lob is an API for mobile and web apps to incorporate printing. They call themselves “Stripe” for printing, paying homage to the payments startup that is one of Y Combinator’s brightest up-and-comers. The company says that it’s a hassle for startups to handle their relationships with local print shops, negotiate pricing and send files back and forth through e-mail. So they’ve built an abstraction layer that does this with one simple API call. They say that they’re growing at a rate of 200 percent week-over-week. Check out earlier coverage of Lob right here. Estimote is building a wireless sensor network for retail companies to let them deliver content to customers’ phones based on their precise locations within a store. Estimote utilizes Bluetooth low-energy technology (the same core tech that has been utilized in Apple’s iBeacon feature in iOS 7) to identify people’s locations down to the inch. Ultimately, this aims to fulfill the same promise that NFC and QR codes have tried (and mostly failed) to deliver. So far, the response has been encouraging: The startup says it is already shipping devices to major retail partners all over the world. You can check out further coverage of Estimote right here. DoorDash is a local delivery service that hopes to enable every restaurant to get into delivering food. Unlike Seamless or GrubHub, which have menus but don’t manage deliveries, DoorDash provides a better service by partnering with restaurants and handling the logistics of getting food from the kitchen to the customer’s door. The company is averaging 44-minute delivery times, thanks to its logistics software — and it’s doing that in the suburbs, not in cities, like most of the big new delivery startups. But it sees a bigger opportunity than just restaurants: Positioning itself as the “FedEx of today,” it hopes to provide a logistics framework that goes beyond food and can be used for any type of on-demand order. You can find more coverage of DoorDash right here. One Month Rails wants to teach you exactly what you need to know to build what you want to build. The company offers a one-month course, for $49.95, that reminds me of a Choose Your Own Adventure book, but for learning to code. Head on over here for further coverage of One Month Rails. Many immigrants to the United States send money to their family members who remain back in their native countries — it’s a way of helping to support the people who raised them by helping out with food and bills. But the current status quo for sending money is Western Union, which comes with its own set of problems: The recipient has to travel to the Western Union location which is often far away, wait in line for as long as several hours, sacrifice a 10 percent transaction fee, and then carry cash back home through a possibly dangerous area. Regalii aims to cut out all these issues by allowing people to send money for food and bills to their family members through SMS, for a flat fee of $3 per transfer. The payments can be used directly at stores that Regalii partners with to purchase food and other supplies. The service has taken off in a big way since it launched: It’s growing at a rate of 67 percent week over week, with 1,100 customers being served last week alone — and that’s just by serving one neighborhood in the Bronx of New York City, sending money back home to the Dominican Republic. Meta is building the augmented-reality glasses that perhaps many Google Glass users were hoping for. Their initial device, which TechCrunch colleague Greg Kumparak said was a bit of a prototype, has seen about a half-million dollars of sales in the last week alone. While wearing the glasses, you’re able to manipulate augmented reality objects. Kumparak said he was able to move a floating rectangle around and expand and close it based on how he moved his fists. Check out earlier coverage of Meta right here and here. Additional reporting by Colleen Taylor, Kim-Mai Cutler, Ryan Lawler, and Josh Constine.